As a part of the Festival of India celebrations in Indonesia & Malaysia, two travelling exhibitions ‘Life on the Silver Screen: The Fascinating Story of Indian Cinema’ and ‘The Rise of Digital India’ developed by National Council of Science Museums (NCSM) an autonomous body under Ministry of Culture, Govt. of India will be inaugurated in Jakarta, Indonesia on 28th February 2015. From Indonesia, the exhibitions will also travel to various cities of Malaysia such as Kuala Lumpur, Penang and Malacca from 18th April – 30th June 2015. Festival of India in Indonesia was launched with the slogan “Sahabat India” meaning ‘trustful, loyal, true friend’. Sahabat India is an attempt to project the modern Indian culture to Indonesia and the aim is to connect 100 million youth of Indonesia with the 700 million youth of India. Various programs like Drama, Cultural Program, Exhibitions etc. shall be held during the period. The two travelling exhibitions on ‘Indian Cinema’ & ‘Digital India’ are part of this celebration. The travelling exhibition Life on the Silver Screen: The Fascinating Story of Indian Cinema is a portrayal of the impact of the Indian Cinema on the society, its culture, economy and vice-versa. It takes a visitor through an absorbing journey of a century of Indian Cinema in a story telling mode with the help of visuals and graphics, film clippings, artefacts/replica, interactive multimedia and much more. The exhibition consisting of about 60 exhibits, is divided into the sections ‘Cinema before Cinema, The Beginning, Sound Era, The New Nation and Its Cinema, The Bombay Film Industry, The Indian New Wave, Indian Film Music, Linguistic Multiplicity in Indian Cinema and Cinematic Connection between India and the South East Asia’ covering a space of 400 square meters. 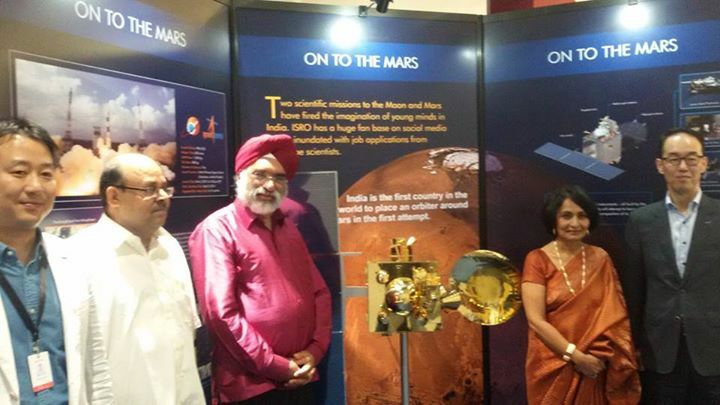 The exhibition ‘The Rise of Digital India’ showcases the phenomenal rise of computing sector in India and use of computing and application, digital technologies in India after independence touching the lives of millions of Indians in areas such as agriculture, power generation, weather forecasting, e-commerce, atomic energy, space, communication, e-governance etc. The exhibition has about 70 exhibits covering an area of 450 Sq. meter and is divided into the sections such as ‘India: A culture of information’, ‘First Steps into modernity’’, ‘Maturing of an information civilization’, ‘Impacts on the society’ and ‘IT and Space Science partners in development’. Use of visuals and graphics, film clippings, artefacts/replica and interactive multimedia has been effectively made in the exhibition. The exhibitions are aimed to develop a strong cultural bonding between India, Indonesia and Malaysia. Before this, NCSM has also sent exhibitions on different themes to countries like USA, China, Trinidad & Tobago, Guyana, Bhutan, Bulgaria, Russia, Bangladesh, France and South Africa.